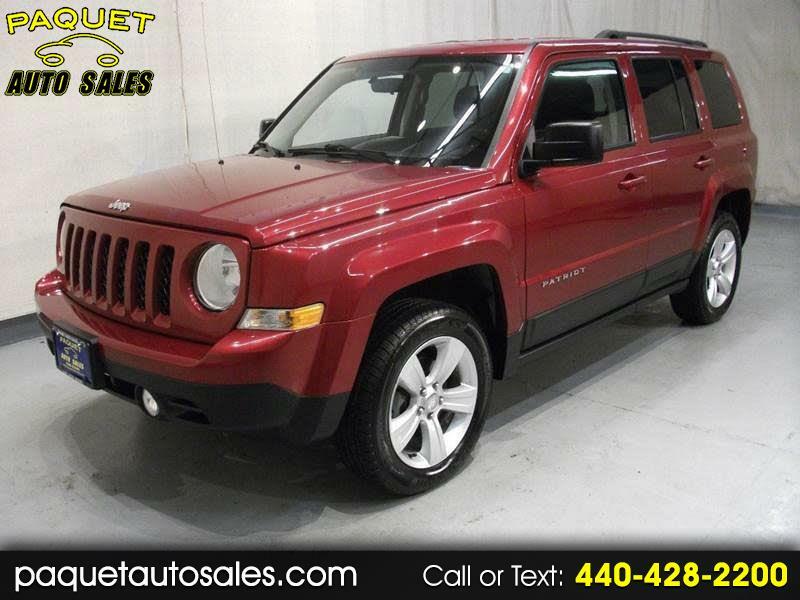 FOUR WHEEL DRIVE---2.4 LITER VVT---NO ACCIDENTS REPORTED TO CARFAX---REMOTE START---NEW TIRES--- 2013 JEEP PATRIOT LATITUDE 4-door in a deep cherry red crystal pearlcoat exterior finish with 17'' silver wheels, luggage rails, tow hitch, black folding exterior mirrors and lower body moldings, body color door handles and grill surround, fog lamps, pop up rear hatch with wiper, keyless entry with multi-function remote. Inside you will find a nicely equipped dark gray cloth interior featuring heated front bucket seats with adjustable headrests, center console with illuminated beverage holders, air conditioning, tachometer, digital external temperature and vehicle information display, reading lights, dual vanity mirrors, power windows, door locks and exterior mirrors, tilt steering wheel with cruise and information controls, CD/Satellite ready radio with aux. input, rear beverage holder, folding split rear seat with integrated headrests, cargo area tie downs and floor spare tire storage compartment, carpet floor mat set, rear defroster. Fully inspected by our service technician and fit with new tires all around. Detailed inside and out and ready for delivery. Stop in or call today and speak with one of our friendly sales staff with any questions that you may have.